Prerequisites: Media Production or Instructor Approval and Instructor Screening. This is the Media Program of Study course 2 of 3. This course produces the Video Bulletin for the Granite Bay Today website. Students also film and produce other projects like the “Every 15 Minutes” video (on even years), the GBHS Promo video, End of the Year video as well as produces videos of the Dance Shows and other school events. 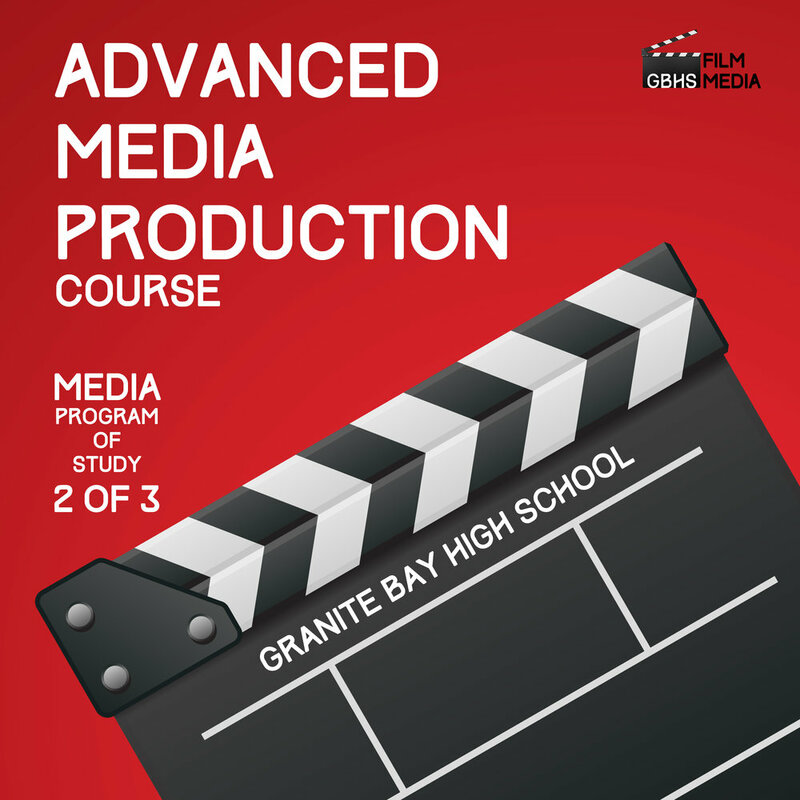 Students will apply the skills learned in Media Production to write scripts, film, produce, and edit to the production of projects, film, and broadcasts in the GBHS Studio. Students choose an area of video produc on to focus to build their personal video reels. Students will learn to work in production teams as directors, producers, on-air talent, audio engineers, switchers, graphics technicians, etc., as they produce video content. The course can offer a wide range of outside of the classroom professional opportunities, internships in the field of video production and film, and live video broadcasting. The class will also participate in the STN (Student Television Network) annual convention and competions. Students will produce online video reels of their completed work as an assignment. There are materials costs associated with the class. Students will need to obtain a class 10 SD memory card and headphones. The instructor will give you specific information within the first week of the course. Extra outside class me will be needed to complete projects. Students are encouraged to take this course multiple times. All new students will go through an application and screening process that includes faculty screening. The course requires trust, reliability, honesty, and appropriate behavior of the student. Students must sign and follow a Code of Conduct agreement to remain in the course. Students who have taken Media Production and Advanced Media Production are eligible to apply for a leadership position. Students hired for a leadership position will be enrolled in the Media Management course. Each team Showrunner (Green, Silver, White) will assign positions for their own studio crew. Every student will hold one of the following positions. Sample work must be submitted to be considered for one of the positions below. Check with teacher for Deadline to submit. Students hired for a project position will be enrolled in the Media Management course.